Looking for a clean, well-cared for 2016 Mercedes-Benz GLC? This is it. This CERTIFIED Mercedes-Benz includes: BLIND SPOT ASSIST Blind Spot Monitor SELENITE GREY METALLIC ILLUMINATED STAR PREMIUM PACKAGE Satellite Radio Power Door Locks Keyless Entry SPORT PACKAGE Running Boards/Side Steps LIGHTING PACKAGE HID headlights Headlights-Auto-Leveling MULTIMEDIA PACKAGE Navigation System CD Player AM/FM Stereo Auxiliary Audio Input Hard Disk Drive Media Storage MP3 Player BURMESTER SURROUND SOUND SYSTEM HEATED FRONT SEATS Heated Front Seat(s) WHEELS: 19" HIMALAYA GREYTWIN 5-SPOKE AMG *Note - For third party subscriptions or services, please contact the dealer for more information. * How to protect your purchase? CARFAX BuyBack Guarantee got you covered. The best part about this well-maintained vehicle is that it is a CARFAX one-owner vehicle. This vehicle has surpassed all inspections to achieve Certified Pre-Owned status. This Mercedes-Benz GLC GLC 300 has a tough exterior complemented by a well-designed interior that offers all the comforts you crave. A Mercedes-Benz with as few miles as this one is a rare find. This GLC GLC 300 was gently driven and it shows. Enjoy the drive without worrying about directions thanks to the built-in navigation system. This Mercedes-Benz GLC GLC 300 is covered under the Mercedes-Benz reliable & trusted factory warranty. So, if you're in the market for an incredible vehicle which provides the manufacturer-backed assurance that everyone deserves, then this is the vehicle for you. This Mercedes-Benz GLC GLC 300 comes standard with features that are essential in the 21st Century. However, Mercedes-Benz decided to take it one step further and add a handful of quintessential options that will undoubtedly add to this vehicle's quality and value. The standard wheels have been upgraded to gives this vehicle a whole new style. More information about the 2016 Mercedes-Benz GLC: The new GLC-Class Mercedes builds upon the success of the previous GLK, with softer lines and a better overall road presence. 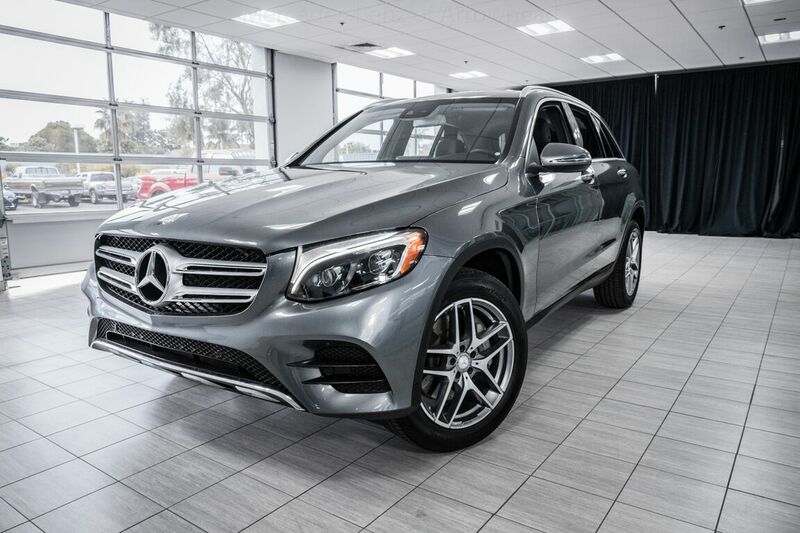 It is an excellent around-town option and easy to maneuver in tight spaces, but it is also quite capable when conditions demand extra performance from a GLC equipped with 4MATIC. It goes head to head with models like BMW X3, Audi Q5 and Volvo XC60. The GLC is priced competitively -- beneath the Q5, equally to the X3, and slightly more than the XC60 -- yet it outshines the X3 in its interior amenities, and its typical Mercedes build quality truly sets it apart. This model sets itself apart with driving comfort and adaptability to conditions, luxurious interior, Smooth, efficient turbocharged powertrain, and standard and available safety features. Visit your Mercedes dealer today serving Phoenix, North Scottsdale, Tempe, Gilbert, Mesa, Chandler, Scottsdale AZ.